Chiromawa town is a border community in Garun Malam LGA. The community has a population of 18, 960 inhabitants. The School was established in the year 1973. 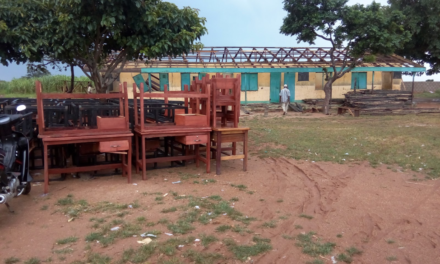 Currently, Chiromawa Idi Primary School has 5 blocks of 10 classrooms out of which 3 blocks have not been in use since 2015 due to dilapidation and roofs were blown off by rain storms. The school has a population of 2,226 pupils (971 Boys and 1,255 girls) and 38 teachers. 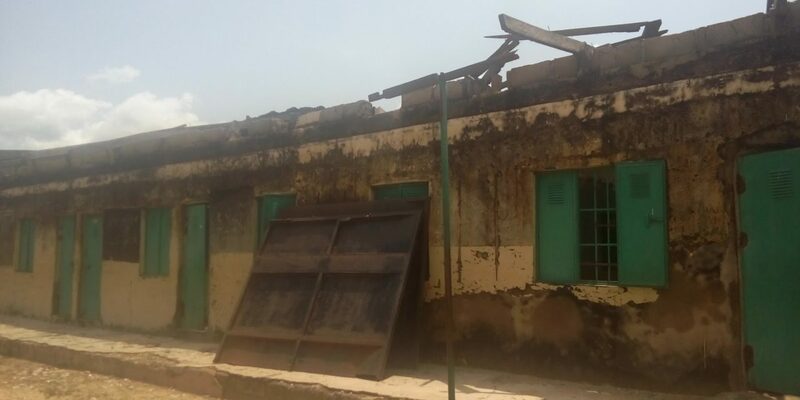 Apart from dilapidated and inadequate classrooms, the school lacks a good fencing system thus exposing the pupils and teachers to hazardous reptiles and all manners of security risks. 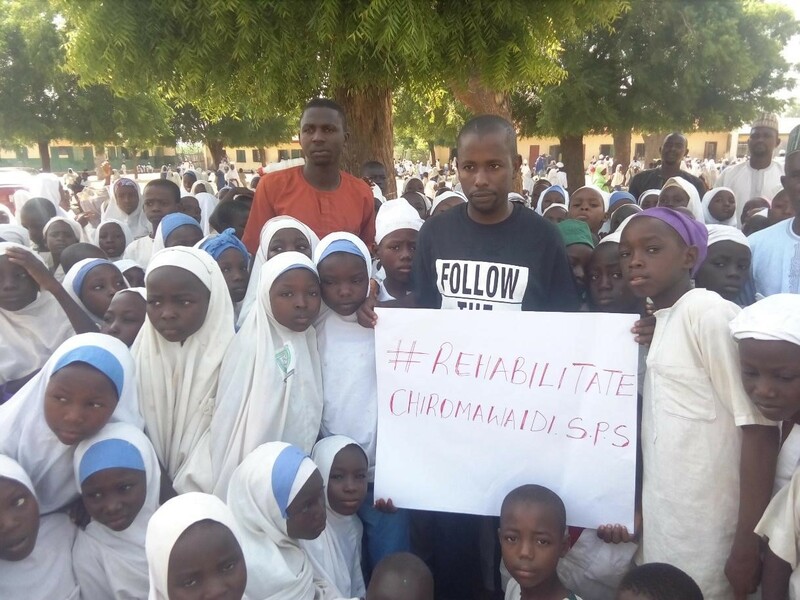 In view of the above, Follow The Money has activated the #RehabilitateChiromawa campaign to track the implementation of the school’s rehabilitation being implemented by Border Communities Development Agency (BCDA). We hereby call on all concerned stakeholders especially the BCDA to uphold public interest through being accountable and transparent in the usage of the funds already released for this project. We also implore the public to get on board with us in following this money to ensure that projects appropriated at the Primary School will be completed effectively to support the girls’ child education because the school has more girls than boys, also to attain Sustainable Development Goals 4 through joining us on www.ifollowthemoney.org. 26/09/2018: FTM team embarked on a community outreach to track the project implementation and also interact with the community members. Find the report here. 26/09/2018: Neither the community nor the school management were aware of the project. This was affirmed when Aminu Yusha’u, the Community Chief said “We are not aware of the project”. 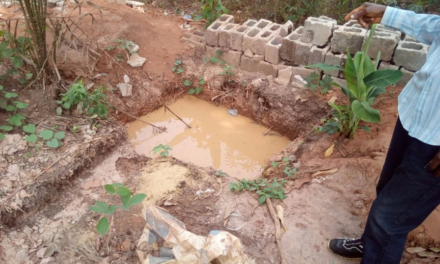 26/09/2018: The headteacher of the school said someone came from Abuja for needs assessment of the school since then the implementation agency hasn’t done anything about the project. 26/09/2018: Speaking to Mrs. Binta A. Idris, a teacher, she said, “Some mothers don’t allow their infants to attend the school because of its present condition as some of the students will be learning in classrooms with open roofs and the sun will be beating them”. 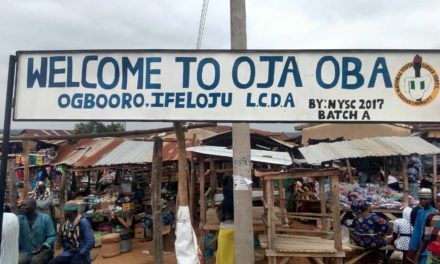 According to the women leader, “the major problem of this school is all the classes we have are dilapidated and we don’t have chairs where teachers sit and even the students”. Watch here. 26/09/2018: “A set of 1,200 pupils just joined the ECCE and Basic One as the school resumed just last week. There are no classrooms for them. 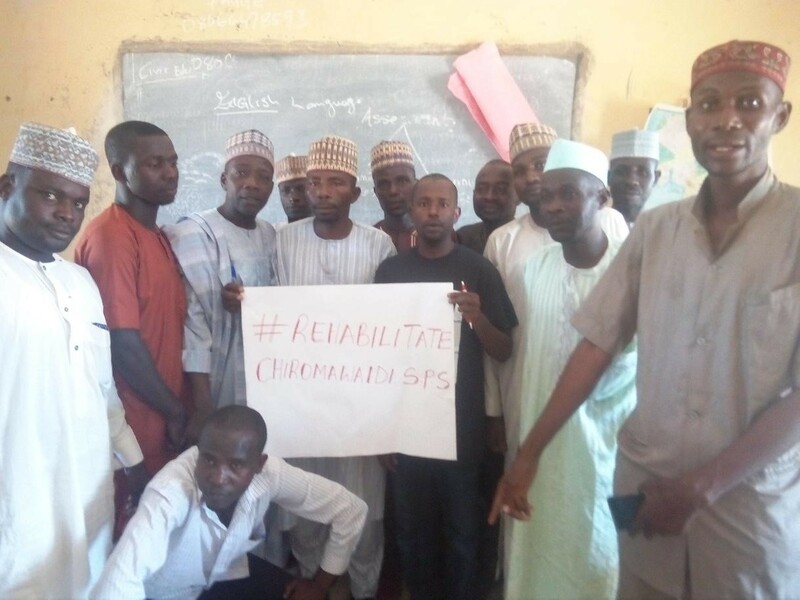 Now we are having more than 120 pupils per class” Muhammad Tijjani Chiromawa, the Headteacher posited. There is an imbalanced ratio of one teacher to 180 pupils. Click here for video. Lack of chairs and tables as some of the pupils have to sit on the floor. Lack of fence has exposed pupils and teachers to all kind of security risks. A pupil was once bitten by a snake. There are only two pit latrine toilets for 2, 300 persons (both pupils and teachers). 26/09/2018: At the successful completion of the project more parents will enroll their wards, classes will be decongested thus having a conducive learning atmosphere with chairs to sit and tables to write on. In addition, pupils and teachers will feel secure having a fence around them. Furthermore, there will be healthy pupils and teachers as having adequate toilets will reduce infection to the barest minimum. 26/09/2018: “We appeal to the government and contractor to start project implementation due to the importance of education in the development of Chiromawa. 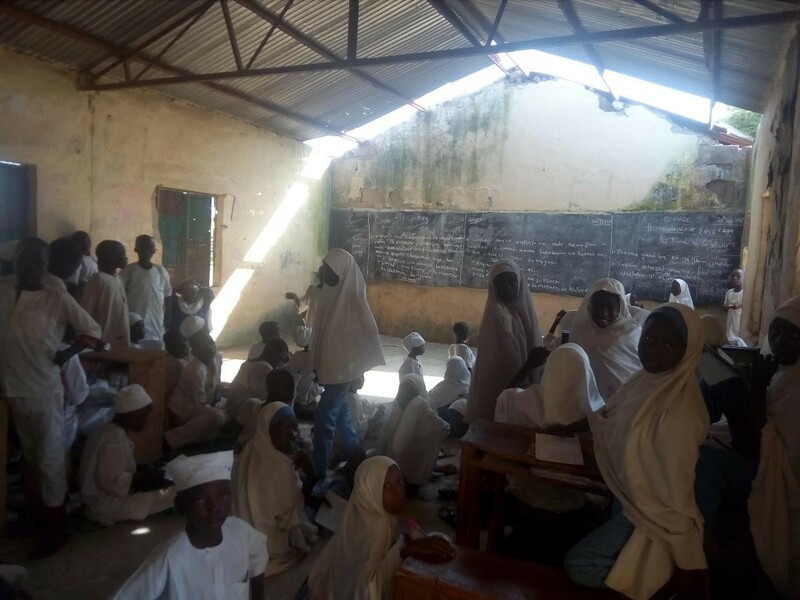 Right now classrooms are congested with more than 100 students per class with neither chair to sit nor tables to write on” Aminu Yusha’u the Community Chief supplicates. 26/09/2018: Chiromawa and the school community have pledged to organize “Follow The Money” Chiromawa team, they will join www.ifollowthemoney.org platform, join all media engagements and reach out to the implementation agency through their representation to ensure speedy and successful implementation of the project. 14/10/2018: Follow The Money community champion goes to speak on Aminci Radio about the #RehabilitateChiromawa campaign while engaging the community members. Listen here.